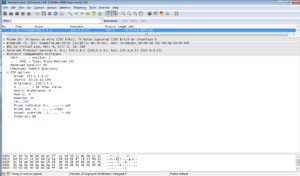 A PIM device must first receive HELLO message from its neighbor before it can receive multicast packets, to create multicast routing entries and maintain the MDT. 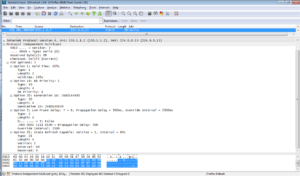 Once the PIM neighbor relationship is established, multicast source floods multicast data to all routers on the network. 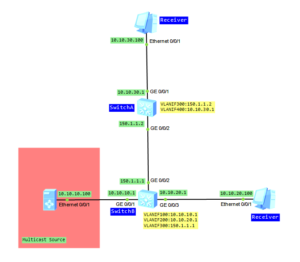 PIM DM assumes that at least one multicast group member exists on each subnet. That’s why all routers receive multicast data. Then PIM DM prunes brunches that don’t have multicast receivers and forward traffic only to brunches that require to receive multicast data. In such case JOIN/PRUNE message is sent by PIM router that doesn’t need multicast traffic. Jul  4 2014 12:57:44.250.2-08:00 SwitchB PIM/7/JP:(public net): Upstream 150.1.1. 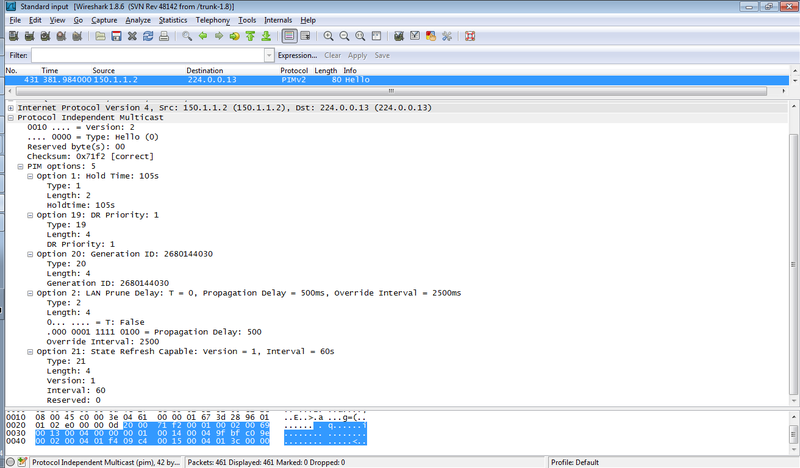 At the same time network brunches send JOIN/PRUNE messages to receive multicast data. Format of this message is the same like PRUNE message. Jul  7 2014 12:24:19.300.4-08:00 SwitchA PIM/7/JP:(public net): Upstream 150.1.1. 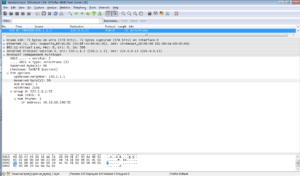 After PIM router receives the report message from the host, it sends a GRAFT message through the upstream interface of the related (S, G) entry, if the router is not on the SPT (shortest path tree). 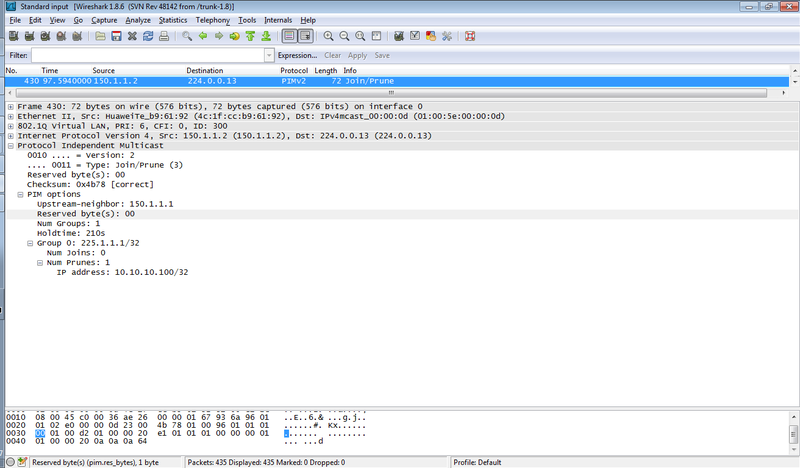 Upstream device responds with GRAFT-ACK message and restores the forwarding status of the downstream interface connected to requesting device. Jul  4 2014 12:55:53.950.2-08:00 SwitchA PIM/7/JP:(public net): Upstream 150.1.1. Jul  4 2014 12:55:53.960.2-08:00 SwitchA PIM/7/JP:(public net): Upstream 150.1.1. PIM-DM employs GRAFT to implement fast data forwarding and enable new group members to rapidly receive multicast data. Using debugging command and Wireshark on eNSP you can simply check how PIM DM works. You can find messages’ types, default parameters and so on. I chose only control messages, generated by PIM routers, here in this post.